Long before I wrote my first book, I was writing poetry. It was my first love. As a kid, I wrote poems to express all the various emotions I was feeling. My poetry back then reflected my growing pains. 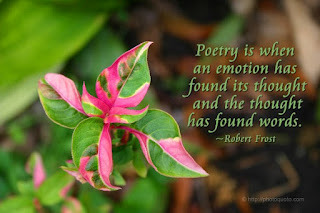 As I got older, poetry became a sort of "therapy" for me. I wrote through my break-ups, my make-ups, and everything in between. While cleaning out my home office recently, I found a bunch of marble notebooks from 15 years ago! I cracked open these "time machines" and what I discovered made me as happy as if I had found a buried treasure! I read poems that I had written years ago and had long since forgotten about. Poems about my children, about love, loss and joy and triumph, about my journey through my twenties and what I wanted for my future, about my hometown of Staten Island and about the plight of black people in this country. I must admit, I was impressed with myself! I had penned literally DOZENS of poems, which reflected just about everything I had learned thus far, and what I hoped to learn as I matured. Since writing my first novel in 2003, I haven't focused much on the poetic side of me. Lately, my writing has been centered around characters, around dialogue, scenes, chapters, and paragraphs. But flipping through the pages of those old marble notebooks was like opening a vault containing the remnants of my inner Emily Dickinson! I laughed aloud at my haikus, and recalled the circumstances surrounding each and every piece I had written all those years ago. 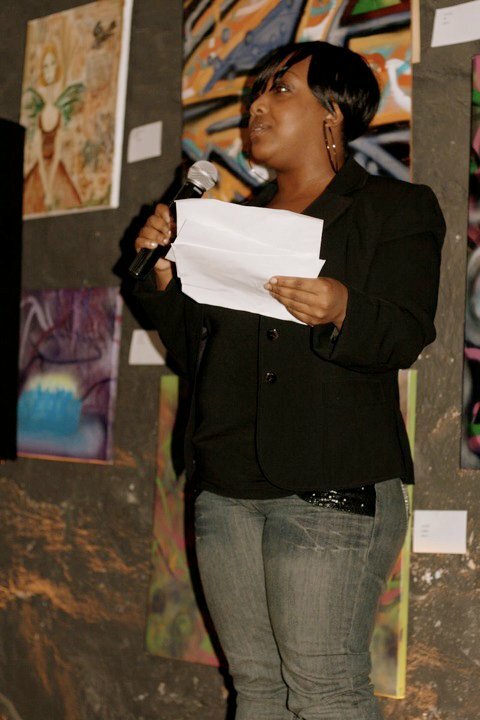 I used to perform my poetry at venues across NYC - Jimmy's Uptown Cafe, Nuyurican Cafe, The 5 Spot, and Poetic Soul. I went to a taping of Russell Simmons' Def Poetry Jam, and the entire "Black Poets Society" had been a major part of my life. It wasn't until I dusted off those old poems that I realized how much I missed that scene! The incense. The Afros. The Neo-Soul music. The drums. The melodies. The dim lights and fingers snapping in "applause". I really, really miss those things. So I've made a promise to myself that I'll get back out there. First, just as a lover of poetry, sitting in the audience and being entertained. But, soon (hopefully once I'm done writing the two books I'm currently working on), I hope to write some new pieces and return to the stage to perform them. The thrill of sharing a new poem with a crowd of strangers is incredible! Your heart races, your hands tremble and your nerves are shot! But all it takes is a few "Mmm-hmm"s, a few "That's right! "s and some encouragement, and suddenly you get your swagger back. I can't wait to feel that rush again. Cleaning out my home office has done more for me than just organizing my papers and files. It has given me back a part of myself that I have neglected for far too long. I have vowed to give myself permission (poetic license, if you will :) to step away from the routine of writing books and return to my first literary love. Sure, I'm a novelist, a blogger, a storyteller. But there's so much more to me than that. That's deep I only wished you were in az to perform your poetry I would be there tonight! You have much purpose in life an talent beyond words.. Thank you, Kemi! I wrote those poems long before I sat down to write that novel. As the story unfolded, I decided to add them since they went along with the theme of the book. I'm so happy to know that you enjoyed them. Thanks so much for the encouragment. (Soon, I will post some of my poems here on my blog.) God bless!